When I saw this post at Chocolate Muffin Tree, I knew it was a project I wanted to do with Bear, but I wondered how I could make it about teaching art appreciation to kids. I remembered seeing a Robert Bateman book on someone’s coffee table a LONG time ago and, after a quick Google search, discovered he painted quite a few birds. 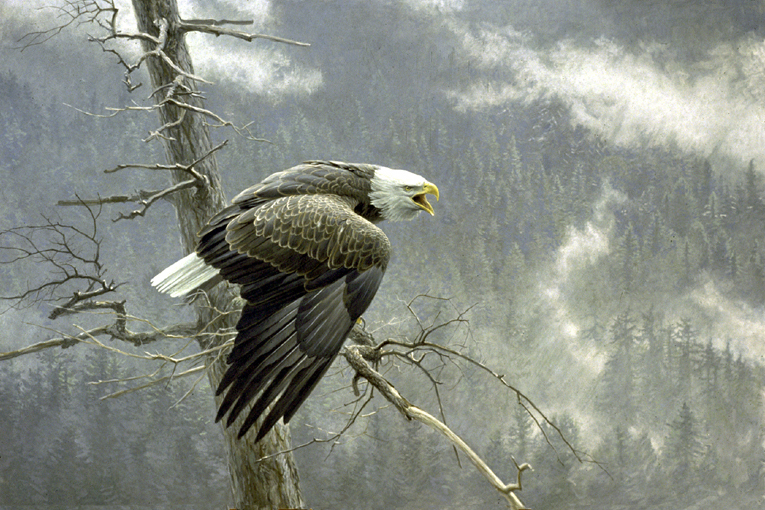 Robert Bateman is a Canadian naturalist and artist who was born in Toronto, but now lives on the West coast. Although he was a high school art and geography teacher, he spent a lot of time painting. He now has six books of his paintings. His wildlife paintings are just beautiful. I made some three part cards of Robert Bateman’s bird paintings, which Bear matched up and observed while I washed up the breakfast things. I pulled out three books that fit the theme. Another book that fits well that we read last year and loved is Birds by Kevin Henkes. Then the making of art began. Chocolate Muffin Tree does a great job explaining how to do this project. I wanted the birds to be bigger, so I modified the method a bit. Below – Bear adding a bird with a potato half. We used the sides of flat sponges dipped in brown paint for the tree branches. We got a potato and cut it in half. Dipped in paint it made the perfect body for a bird. We used a water bottle lid for the head of the bird. For the tail, we used the edge of a piece of cardboard, twisting a bit to fan out the tail. We added a nest, too. That is the best part, of course. We went outside in search of pine straw and found tons. We’ll have to go back when they are dry and add eyes. We have been into printing pictues too. We made a fingerprint spring picture.http://homeschooljournal-bergblog.blogspot.com/2011/03/first-day-of-spring123i-can-make.htmlWe are planning on more printing fun tomorrow. Very nice project. We did some fingerprint art this week using Emberly book of fingerprints – it was quite fun. Thanks for mentioning me and my bird project! 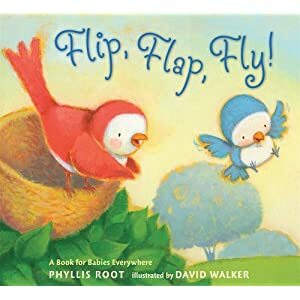 Great artist and literary connections! You could also talk about John James Audubon a bird artist!!! Now you've got me thinking! Oh Julie, these finished pieces are beautiful. I love them. Hoping you are all doing well! 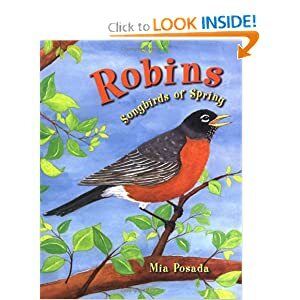 The weather here has been wonderful–hope you are getting some like it too.I checked out a great book from the library just yesterday titled, The Story of the Easter Robin, by Dandi Daley Mackall. 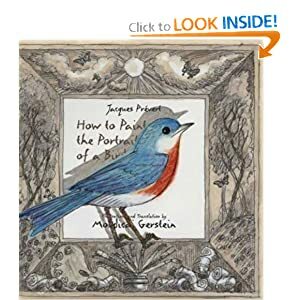 It is a sweet book with beautiful illustrations. I think you may like it too. I really love your blue bird project, so darn cute!